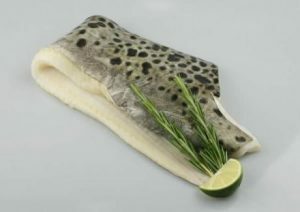 The catfish we deliver to your home is fresh, filleted and boned for convenience and just £13.50 a kilo. Seek it here. Catfish carries strong flavours such as Cajun or Asian spices well. Grill for 6-8 minutes each side, bake in 12-15 minutes or pan fry for 2-3 minutes each side. Also delicious cut into strips, coated in breadcrumbs and deep fried for 4-5 minutes.